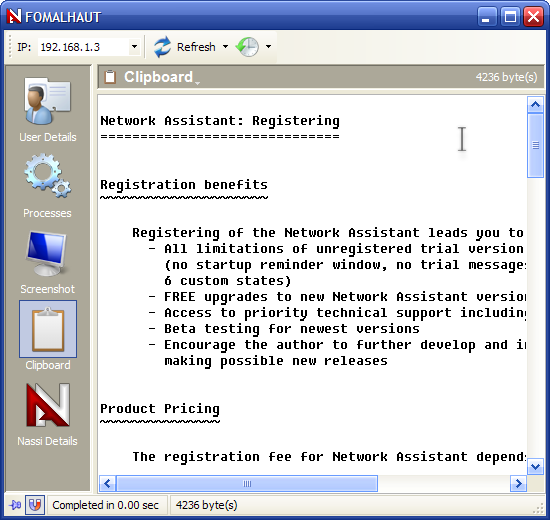 Network Assistant usage is based on concept of neighborhood. Like well known Network Neighborhood (neighborhood of all the computers in your local area network) Network Assistant brings out its own neighborhood - Network Assistant Neighborhood. 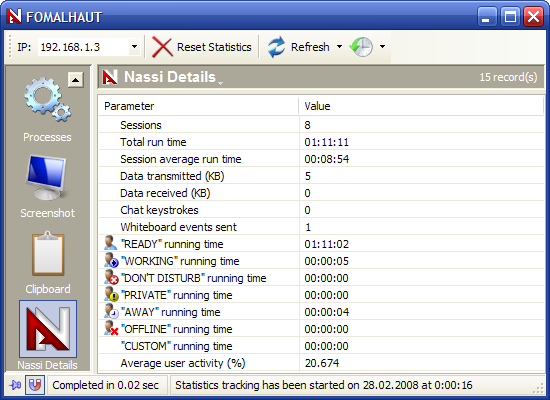 This page displays all Nassi users. For each user in the list you can see its state, nickname, workstation name, operating system type (OS), inState time, idle time, OS time, ping time, foreground window title and IP address. From here you can also access remote user's processes, screenshot, clipboard, usage statistics; define alerts; send instant messages and files. This is the place where you can chat with another online users. Nassi supports unlimited number of chat channels (or virtual "rooms"). There are four types of chat channels: general, announcer, password protected and private (person-to-person). You can use graphical emoticons in your chat phrases. 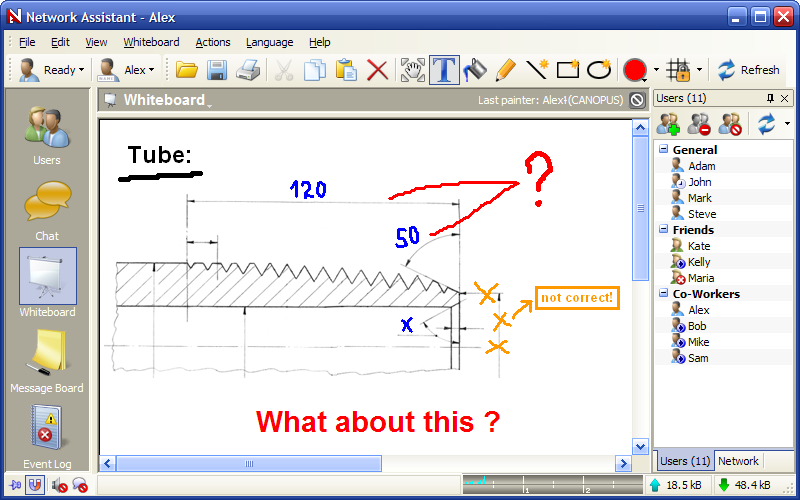 Whiteboard allows every online Nassi user to draw and type on it simultaneously. Using the whiteboard, you can explain concepts by diagramming information, using a sketch, or displaying graphics. Event Log is a journal that records all important events, such as connection errors and miscellaneous informational messages. 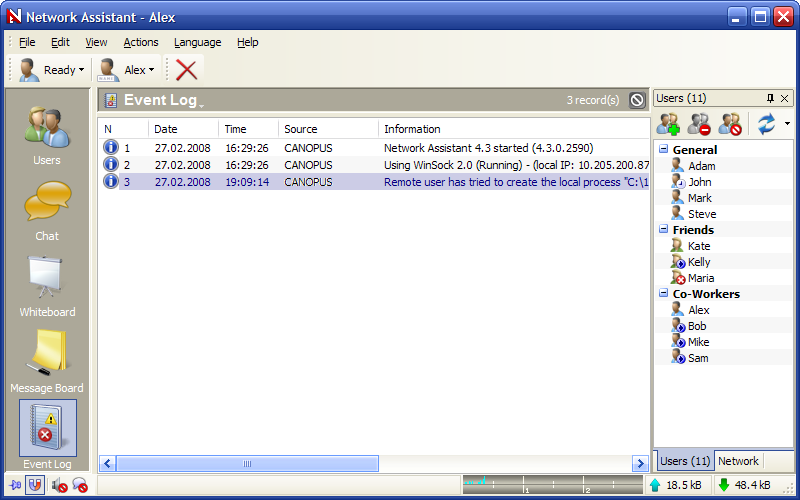 Event Log can help you to identify problems with Network Assistant. You can retrieve the advanced user information for every online user. Note that these features are available only if the target remote abonent didn't disable them via Setup -> Local Security options due to the security/privacy reasons. You can view details of remote users and specify your own details: full name, gender, age, work/contact information and picture (photo). Therefore you can share this information with all Network Assistant users. 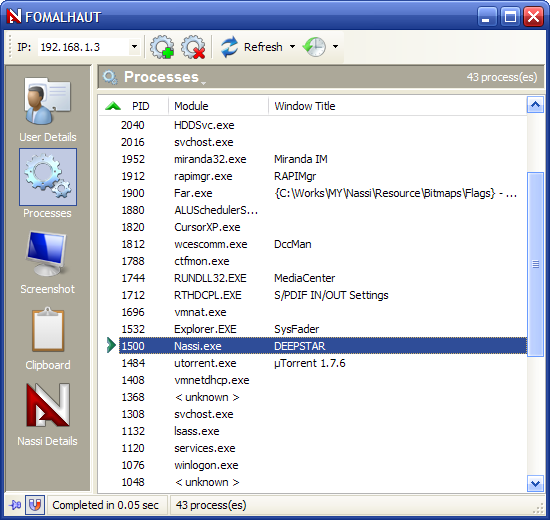 This feature allows you to retrieve process list for the target computer and control processes remotely. That is to say you may create new process (e.g. launch application remotely) or kill some process (e.g. abort some application remotely). 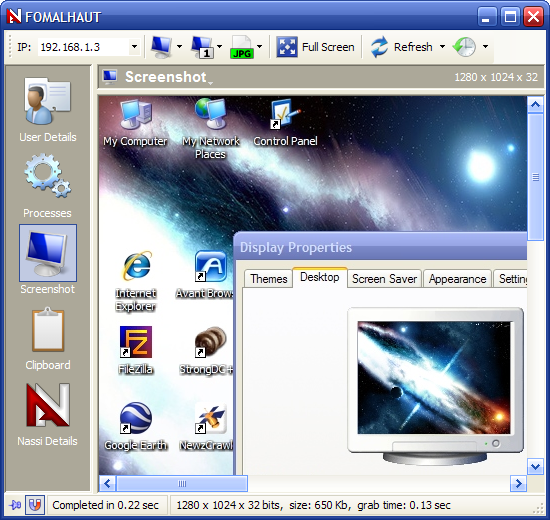 With this feature you are able to take screenshot of the remote computer (the whole screen or active window only or some part). There are JPEG and GIF compression options which you can use in order to improve performance of screen capturing. You can see the text content of remote user's clipboard. Network Assistant tracks usage statistics when it is running. You can retrieve this information for every Network Assistant-enabled computer. Nassi Details includes such parameters as: total number of Nassi sessions, total Nassi run time, session average run time, time spent in each state, average user activity and other.